Yay! We have finally set off on our long awaited honeymoon! 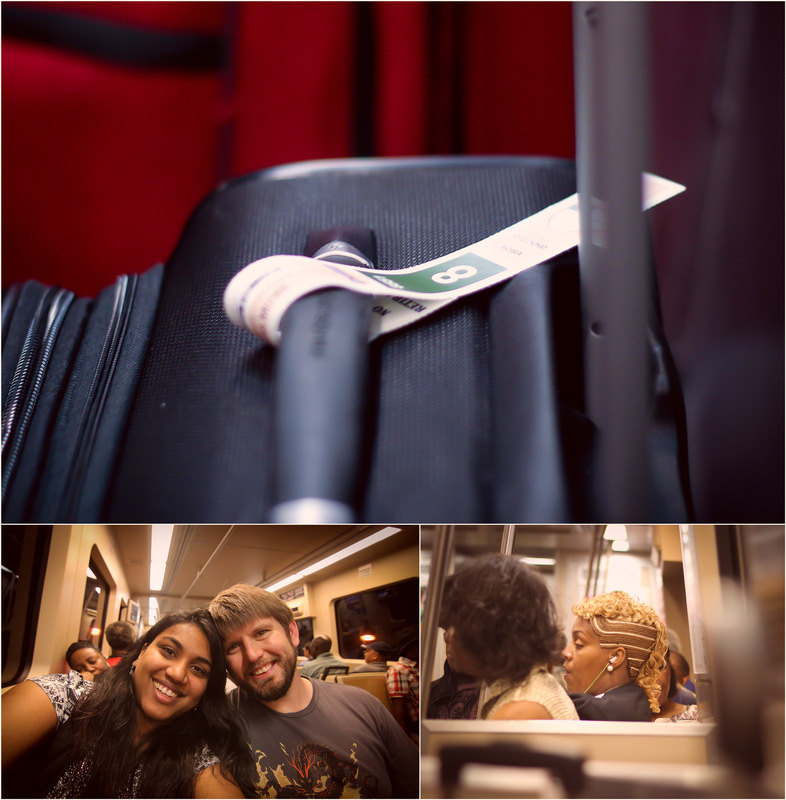 All our luggage has been tagged with our deck number and we are more than stoked about jumping on that cruise on Friday!� Marta always proves interesting. Check out this lady’s hair! :) Black people have the best hair for artistic expression. I am so excited to capture all the little details that make this vacation so relaxing. 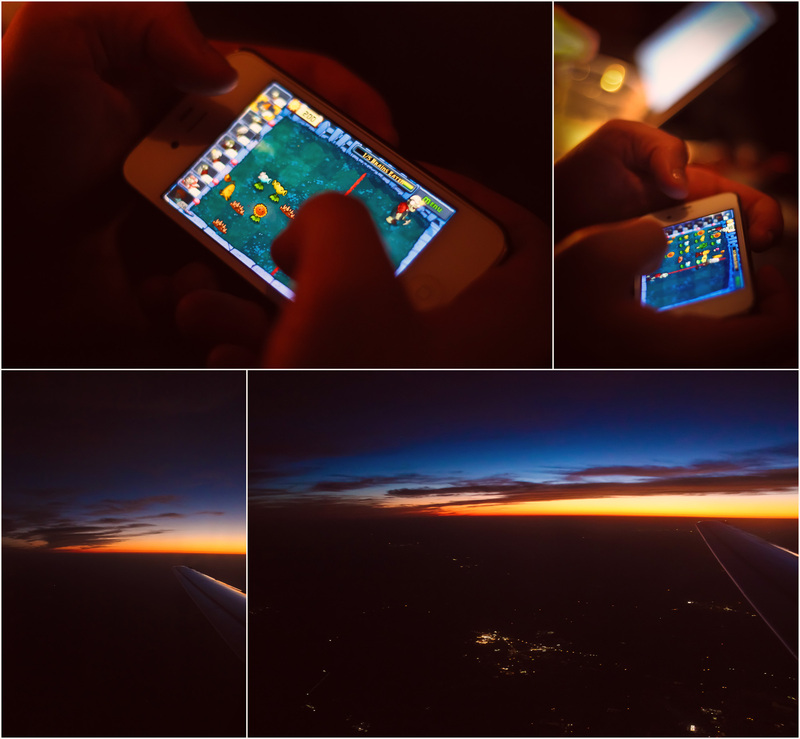 I watched the sunset out of my window while Jeremy dominated at Plants vs Zombies during our flight. We’ve flown into Fort Lauderdale to catch our boat out tomorrow! I’m so excited I can’t really sleep. 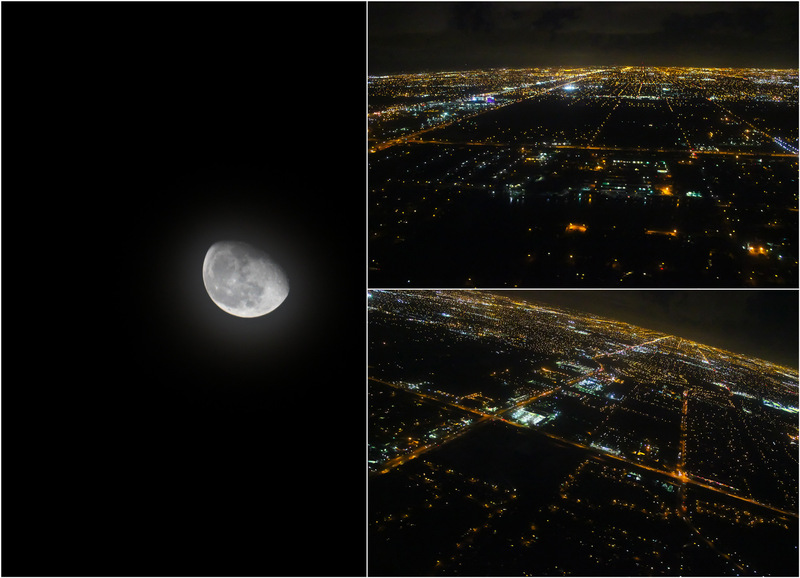 Landing in Ft. Lauderdale was amazing. The photos just don’t do this place justice. The flat topography makes you feel like you’re descending into a scene out of Tron. :) The moon was bright and out too making most everything at night visible. 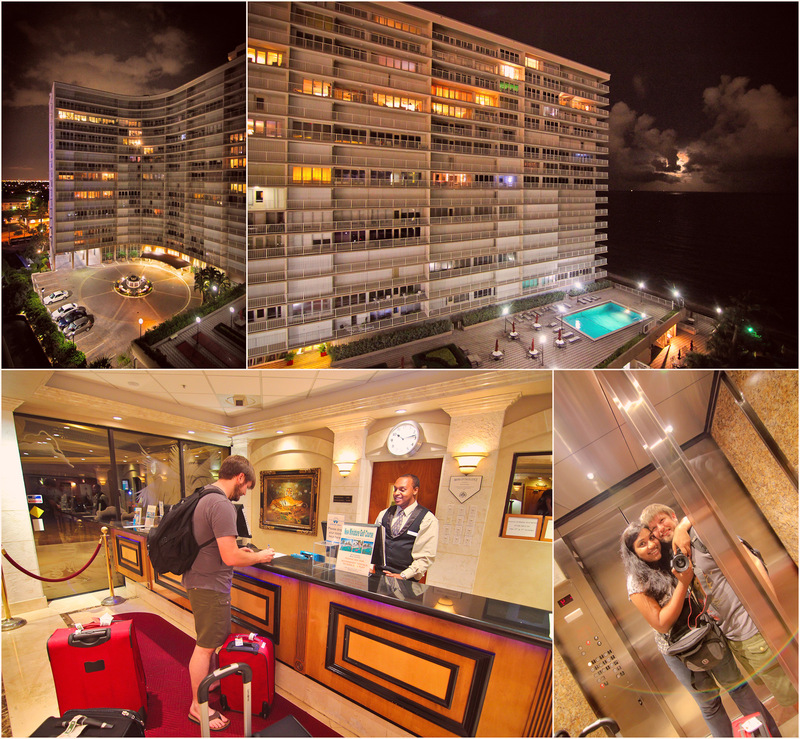 We’re staying at the Ocean Sky Resort and Hotel off of Ft. Lauderdale Beach. Jeremy did a good job picking this one! There’s an excellent view of Ft. Lauderdale on one side of our room and a stunning moonlit view of the ocean on the other. Again, these photos just don’t do it justice! It’s different when there’s depth, the smell of the ocean air, and your hair being gently whipped around your face at night. Tomorrow will hold some fun stuff for us. We’re planning on getting up early to watch the sun rise over the sea before we head somewhere for awesome breakfast. Then it’s off to the cruise. This is probably the last post for the next 15 days. I’ll still be writing and drafting them but with ship internet at $55/2 hours of dialup speed with constant disconnection… I think I’ll just be using it for e-mail and the sporadic tweet. 1. We checked into the hotel and were checked into someone elses room. :) We opened the door and found it totally full of someone else’s stuff! Thankfully there was another room available. Now we know what happens when someone stays past their reservation! 2. A bird took a giant crap on my head at the Ft. Lauderdale airport. Enough said. Love your photos! :) Congrats!